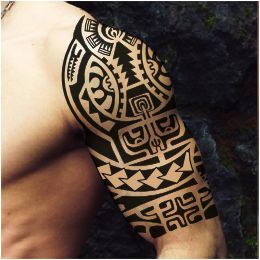 This Marquesan style halfsleeve tattoo contains several elements related to the warrior and to excellence: the flower with seven petals on the right represents the star and it symbolizes someone who is dear to the gods. The tiki protects the warrior (spear heads) that goes past the enata (people) to reach success, represented here on top with a sun shaped by coconut leaves (prosperity) and protected by the all seeing eye. The manta symbolizes freedom and the net represents solidarity, sharing, while the turtle motif symbolizes family. 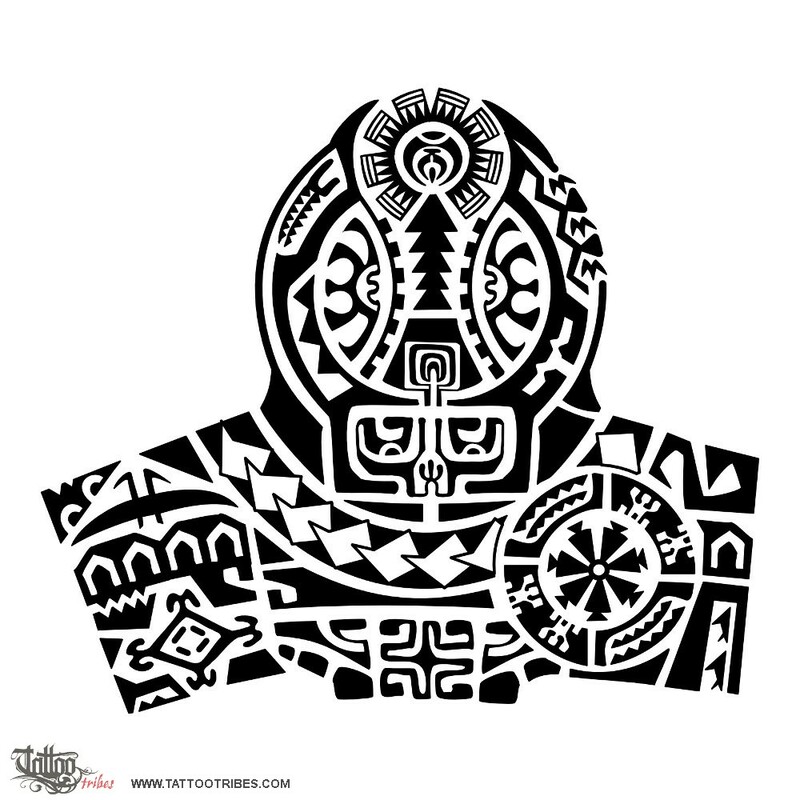 Other elements like the Marquesan cross and shark teeth are for balance and adaptability.